The IoT may have as great an impact on society as the industrial revolution, computers and the Internet have had. Maybe even more. Is graph the ideal management tool for Telia? Telia is the largest telco in the Nordic region. But as Internet access becomes more and more of a commodity, we need to look at how to deliver more value to our customers and protect our position in the market. Organisations operating critical systems must plan and prepare to respond to Industrial Control Systems (ICS) cyber incidents, whether caused by unintentional insiders or malicious attackers. IoT is progressing faster than many could have imagined so we shouldn’t be surprised when it throws up a new term. I came across the “first receiver” when reviewing a book titled “The Future of IoT” that outlined and then explained the concept in detail, but it took a while before the penny finally dropped. 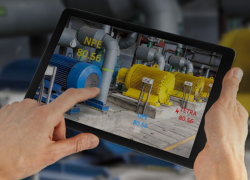 Industrial device makers have in recent years continually looked to connect to the cloud in order to perform tasks such as predictive maintenance, streamlining processes and improving performance of systems. New guidance from ISACA in Rolling Meadows, Illinois shows how blockchain — the foundational technology behind Bitcoin — has the power to become a major force for innovation and change across several industries. The expectation around the Internet of Things is truly amazing. The interconnectedness of the devices and services will, eventually, change the way we live and work. 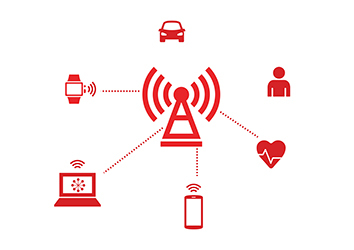 With estimates by IDC that we will generate 40 zettabytes of data by 2020, the question is whether there will be IoT devices there to service this data.